That could be a thoughtful move, but Tameka has her gloves back on and says that Usher’s concern surrounding the death of Kile is completely “bogus” and that “[Usher] visited Kile in the hospital only once.” This week she filed her own court documents, requesting that the judge deny Usher’s request. She believes that Usher is trying to duck out of the custody battle saying in her docs that his move is “simply a transparent sham“. She wants their hearing to go on as scheduled on August 13th and also says that she needs the custody battle to be resolved to help her move forward in her life with her remaining children. Do you think Usher is using the situation to postpone the inevitable — his ex being awarded custody of his sons? Did he feign concern over Kile just to gain a bit of sympathy? 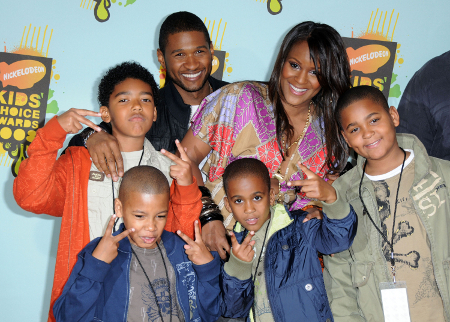 Is Tameka just blowing this story about her son — Usher’s dead stepson — out of the water? Tell us your thoughts in the comments below!